October 14th carries the energy of finished business when everything needs to be rounded up in order for us to move on. This is where ambition kicks in at its peak, a place where we fight to get things done, to reach our goals and our destination, and fulfill our destiny with our debts repaid. People born at this time are to learn not to take anyone else's responsibility on their own shoulders, so they can wear their abilities as a crown to show to the world, shining a light on how things get done in time. The fantastic exaltation of Saturn when the Sun reaches this point in Libra may get quenched in those born on October 14th due to their planetary row and the influence of Sun's fall. Burned by fires on both sides, Saturn has a task to overcome all issues with ego and give solid structure in one's deep, unconscious world. It is important here to bring balance to pain, sadness, anger, and all dismissed emotions and issues in life, so that shadows don’t take over and circumstances may bring these individuals peace. They are to remember that they are allowed to feel whatever it is they are feeling, so they can truly return responsibility to those who have done them harm and take the wheel for their life into their own hands. "A Sunday Crowd Enjoying the Beach"
Their symbol points out the importance of rest and socializing in their life, where emotions are freely shared, and joy finds its regular beat on Sundays. Balance that is to be found at this time is one of work and play, of tough responsibilities and ambition, with time to laugh and have some fun. The emphasis here is on regular rest, where contact with people is found, so that their fences can wear down from time to time and allow childish, happy energies to flow just as much as their goals and seriousness do. They could go through extremes of one over another, until they find a way to incorporate both into their daily existence. The purpose in lives of people born on the 14th of October is balance itself. They will see the reflecting patterns of their own doings through relationships they create, and their partner will typically show the extreme they are currently in by annoying them from the seemingly opposing side. They are to find love that lasts, love for themselves, for leisure and nurturing activities where they can care for themselves on the deepest level of satisfaction. It is easier for a Libra to put on a face for the world than to truly enjoy their emotional core, and once they reach their inner point of satisfaction with Self, they won’t be affected by other people, their envy or limitations. It is not instantly obvious that individuals born on October 14th have their love life in zenith, even with their Sun in Libra defining their center of gravity. They can be strict and a bit cold towards others, and sometimes have a hard time connecting on a purely intimate level. While this may be induced by a fear of intimacy, it is also a need to hold on to healthy boundaries and not burden others, or let others burden them, with deep and disturbing issues. What they need to understand is that the level of connection between them and someone else is defined by deep understanding of difficult issues. Instead of feeling inadequate for their rigid approach to life, they are to accept that they are the ones creating the system they wish to live in, no matter the outer systems they belong to. Theirs is the path of recognition of self-love, so they can receive the tenderness they wish for from their partner too. What they seek on the outside is always first found within, and they need someone who will respect their boundaries while being open enough to share their intimate secrets and painful issues with faith in the strength of the bond. 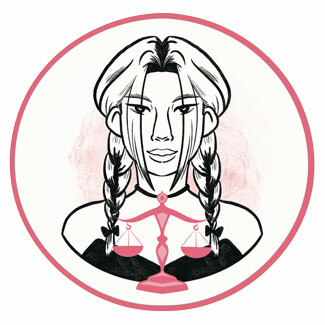 A Libra born on the 14th of October excels in all career paths that require time and dedication. They are organizers and planners, those who have high positions to look up to, and set up standards for areas of history, calculus, deep research, explorations, architecture, and everything that needs to be built from scratch. They work well within a team for as long as their emotional world isn’t too burdened by taking responsibility of others on their own shoulders. A powerful crystal to clear the path before those born on October 14th is arfvedsonite. Strong for spiritual growth, it helps one find the right way to manifest their visions and bring their ideas into the real world. It is a stone that shows how to restructure and reorganize life, so that one can be fully functional and in tune with goals they feel the need to achieve in time. This is also a good crystal to help with depression, dark thoughts, as it brings light and hope into the world of those who have been stuck behind too many walls. 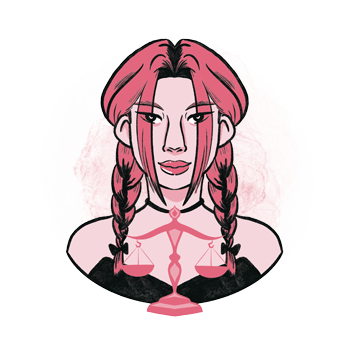 With their interest in deep and structured matters, a Libra born on October 14th can always use a book to read, or something practical for their work and their everyday approach to life. However, their purpose is found in Venus, and it is good to get out of their regular pattern and get them something in touch with art, inspirational and by the feel of their inner personality. They truly need something to remind them of the quality of their relationships, the freedom they may feel when around you, and something beautiful to help them beautify and nurture their sensitive side. A day at a spa center might be a good idea, just as much as something to help them endure in their current struggles. Organized and willing to belong, they will do anything to set up a clear foundation at work, in relationships, and with anything they want out of life. They are responsible and pillars of support for everyone they care for. Criticism, towards self and others, could make life extremely difficult for them, as they take on responsibility for things that others are meant to do and forget that they are really in control over their own life. In 1914 Raymond Davis Jr. was born, an American chemist and physicist who won the Nobel Prize for the first experiment to detect neutrinos emitted from the Sun. He and his wife built a 21-foot wooden sailboat. In 1927 Roger Moore was born, an English actor and producer, best known as one of the actors in the James Bond movie series. Due to his services to charity, he was knighted by Queen Elizabeth II and appointed a UNICEF Goodwill Ambassador. Known for his turbulent love life, he got married four times. In 1978 Usher Raymond II was born, an American singer, dancer, songwriter and actor, one of the best-selling music artists of all time that rose to fame in late 1990s. His family moved to a bigger city only to support his talent for singing. 1888 - The oldest surviving motion picture is filmed by Louis Le Prince (born on August 28th). 1912 – Theodore Roosevelt (born on October 27th) is shot and mildly wounded in the chest. He delivers his scheduled speech with the bullet still within the wound. 1926 – Winnie-the-Pooh is first published. 1947 – The speed of sound is exceeded for the first time by Chuck Yeager (born on February 13th). 1964 – The Nobel Prize is received by Martin Luther King Jr. (born on January 15th) for combating racial inequality through nonviolence. 1968 – American astronauts in orbit are broadcasted live on television for the first time.